Indonesia is located in the equatorial waters of the Indian and Pacific oceans - an island state with a developed infrastructure and industry. This is almost entirely a resort area of 17 thousand islands of which the most famous - Sumatra, Kalimantan, Sulawesi, Java and New Guinea, and one of the most popular resorts in Indonesia –Bali. Almost all Indonesian islands are offering relaxing holidays and a wonderful permanent residence due to the wonderful nature, unusual beaches of volcanic sand, the ocean with coral reefs and even more than a hundred active volcanoes. The average annual temperature on the islands is about 30 degrees, and the climate is divided into two periods - dry and rainy, but each island has its own unique microclimate. Properties in Indonesia - an interesting and promising option. In Indonesia is affordable not only the cost of property but also its content, and taxes are fixed and controlled by the government. Being the owner of a property in Indonesia, in addition to the always warm ocean beaches and rich culture of the country, you will be provided with constantly fresh fruits and vegetables. Indonesia also offers cheap petrol and cars. You will be pleased by the great opportunity for a tourism business. Many analysts say that the country has excellent prospects in this sphere of business. The real estate market in the country is very diverse. Recently foreign investors receive the right to acquire land. It is profitable to buy cheap land and build a house on your project - construction cost is quite cheap in the country. The labor force and building materials are so available that you can purchase a new development on a very reasonable price – whether a flat or villa. Of course, the rental income is always relevant and profitable in such a popular holiday region. From the point of view of the rental earnings, or a personal visit for the holidays, you can buy an apartment in the country, and the most profitable option – purchasing real estate in developments under construction. 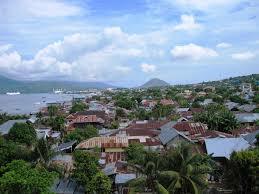 Documents, with which you've come to Indonesia as a tourist, are sufficient to buy property in the country. It is best not to make a deal directly, and seek in reliable real estate agency. Currently, the government is doing everything possible to enhance the attractiveness of the country's housing market to foreign investors.